obviously swap the $ for £ and you can work out how much to spend on your next bike. For those wanting to embed the code it is on this site. Hope you had a nice weekend. I did a bit of research; talked to some of my friends that kite and recollected on some insane kite / wave surfing I watched this winter in Barbados. 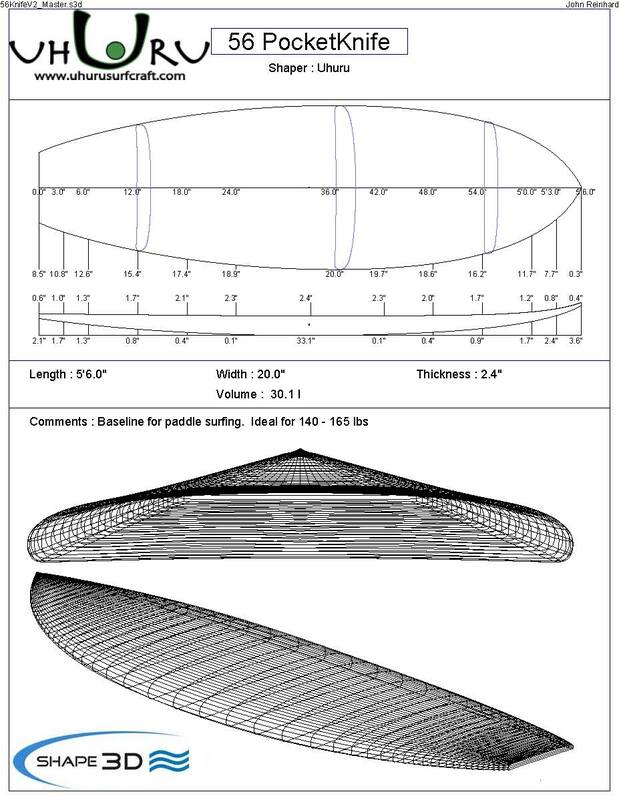 Both have lead me to believe that what I consider to be the core elements of paddle-surfing boards (rocker, outline, foil, bottom contour, fin placement, rail shape) do not need to be modified greatly for kite wave surfing. I do feel that some minor adjustments can be made to factor the assistance that the kite’s pull is offering vs. the need for volume to displace the paddle surfers weight. 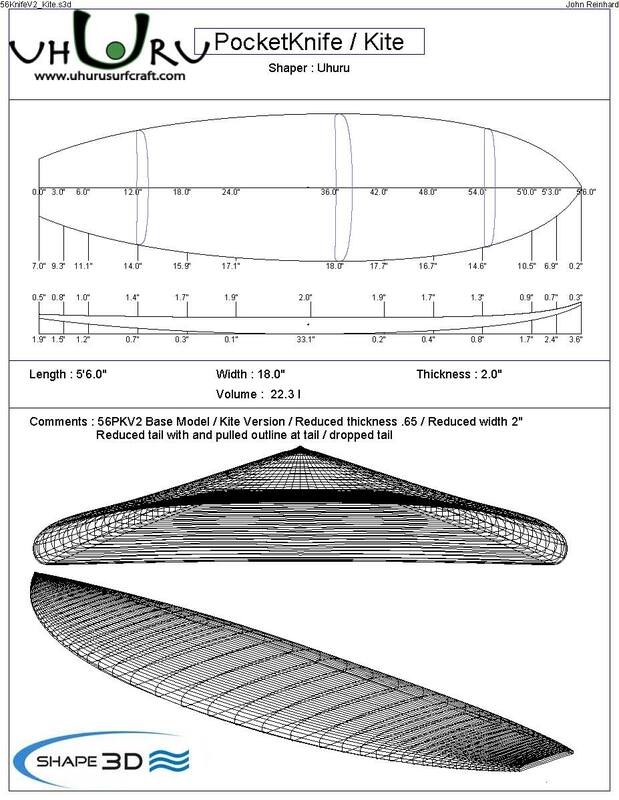 In summary, I took my “magic” 5’6″ PocketKnife paddle surfing model and adjusted the width, rocker, outline and thickness slightly to adjust for the fact that you don’t need as much volume displacement when you have the force of the wind. 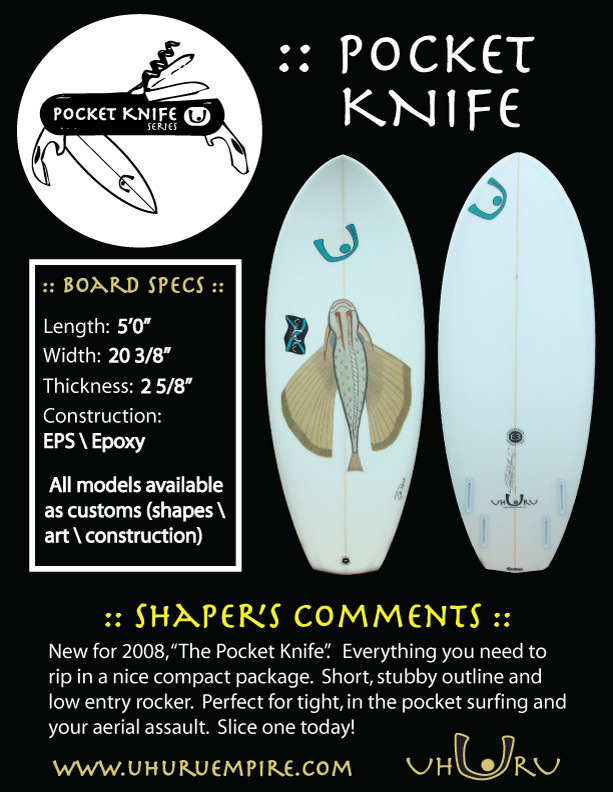 The “secret sauce” bottom contours and fin placement would remain the same. Proven for wave surfing so no sense reinventing the wheel there. I came up with the attached plan and also included the paddle surf model for reference. If you would like to continue then I am happy to start building or to continue to make adjustments to the model based on your input and “eye”. Has design from john at Uhuru – still not sure as this will make it very similar to the board I have already. Think this might be too narrow. campsite – note the wood burner sticking out the top of the edmeister’s tent – so good with his hand’s – no wonder a girl snogged him. nice little jump on the last day – probably 9pm (love those scottish summers) Leo on 7m in 25-32 knots.